IT’S THAT TIME OF YEAR AGAIN……TAX TIME! You must file your taxes by April 30, 2018 if you are an employee and receive a salary. You can file your taxes until June 15, 2018 if you are self-employed or a business owner. However, if you owe tax money to the Canada Revenue Agency (CRA), you must pay the balance owing by April 30, 2018. 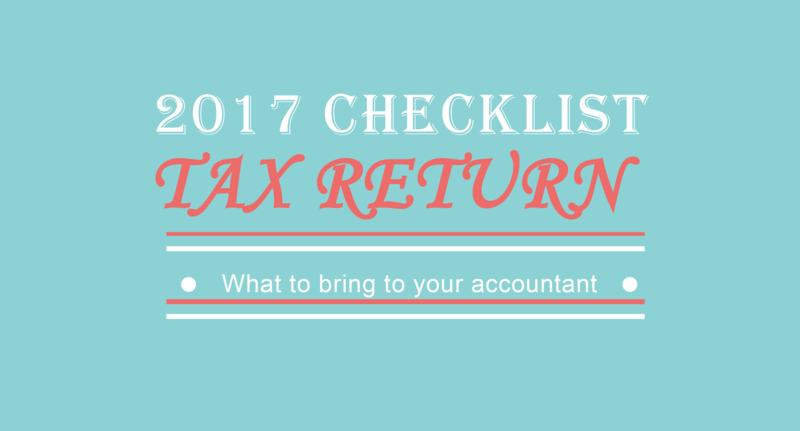 Use this Tax Return Checklist to help make sure that you are providing your accountant with everything he or she needs, so you do not miss opportunities to save taxes. Our team works with other business professionals to help our clients meet their needs. Ask us about our team of business professionals, we would love to introduce you to great accountants that we work with.